the cute life: Is it "grey" or "gray"? I always spell it grey, but spell check keeps telling me that's wrong. I refuse to believe it! 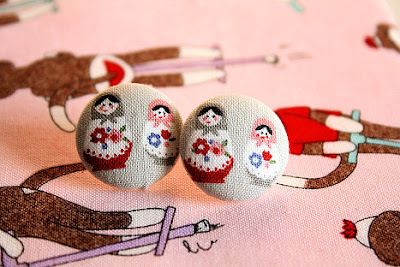 Anyway, I now have my popular Russian nesting doll earrings available in GREY! 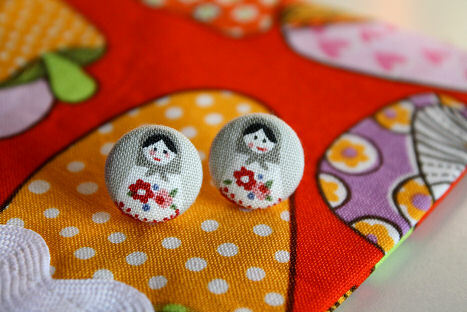 (or gray, whatever) As well as the larger sized earrings with two dolls on them. Available here. Also available as bobby pins. I always write grey too. It's just the way it has to be! I guess gray is the American way of how to spell it, but it just looks weird to me.